Indeed, Sanjay Dutt is hardly 60 and is going to have a biopic made. But he did have an eventfull life. Also, Rajkumar Hirani is a close friend of his and Sanjay is co-producing it. I don't know which aspect of Sanjay's life they want to showcase but it might be quite interesting. Raj Kapoor's grandson playing Nargis' son in a film. That tickles me! Ten years after they made their acting debuts with Sanjay Leela Bhansali's 'Saawariya', Ranbir Kapoor and Sonam Kapoor are reuniting as an onscreen pair. RK who plays Sanjay Dutt in Rajkumar Hirani's biopic on the 57-year-old actor has found one of his leading ladies in Bollywood's high priestess of fashion and the actor-duo is slated to face the camera in 2017. In a special appearance, Sonam will step into the shoes of one of the Bollywood actresses from the 1990s that Dutt dated. "Her character is not reflective of any particular woman but is a fictional amalgamation of the many women Dutt dated through the 1980s and 90s," reveals a source close to the development. Ranbir who begins shooting for the film in 2017 will undergo a complete transformation for the part. 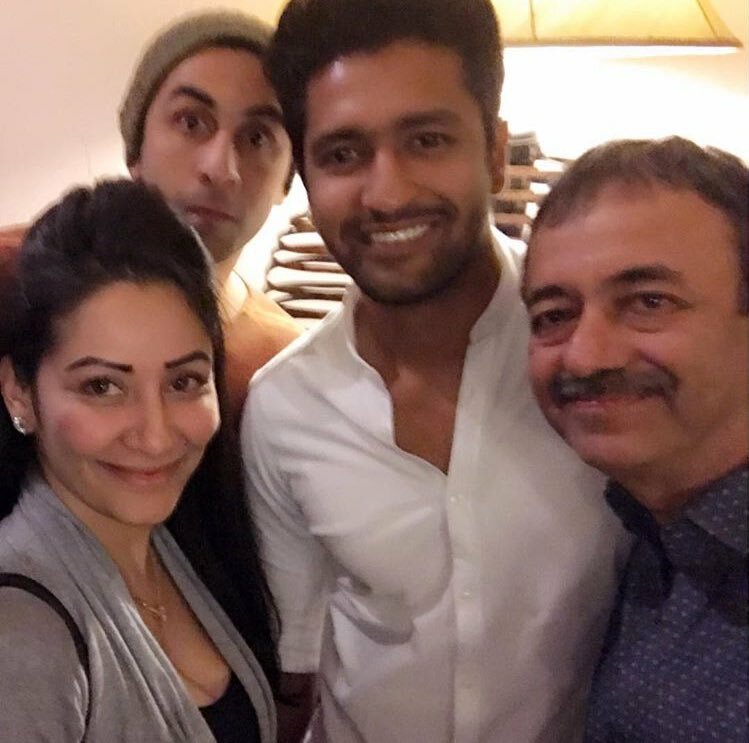 The biopic marks another reunion for RK, with his 'Bombay Velvet' and 'Ae Dil Hai Mushkil' co-star, Anushka Sharma, who plays a journalist in the film. "The biopic that Rajkumar Hirani is making will teach you something. It will talk about human flaws, the emotional father-son story (between Sanjay and the late Sunil Dutt), his relationship with his best friend, with the women in his life. It's emotional, it's funny, it's sad, it's bittersweet. The youth have a lot to learn from his mistakes. Sanjay's lived his life. He owned up to his mistakes, he's paid the price for it. He's been through much... his mother (the late Nargis Dutt) passing away just before the premiere of his film, drug abuse, being labelled a terrorist, his failed marriages, the grind of punishment... We're not trying to project Sanjay Dutt in any way, it's not a propaganda film."